With the Budget less than two weeks away, Opposition Leader Kamla Persad-Bissessar is warning the nation to expect a “budget of excuses” as the PNM government’s third budget would continue to blame its predecessor, the People’s Partnership, for the current financial woes. She claimed that Prime Minister Keith Rowley’s government has prioritized spending on areas that do not benefit wider society including $100 million to finish the Brian Lara stadium in Tarouba. “They will say times hard, we have no money but they would have spent about $110 billion in two years. Where that money gone,” she asked. 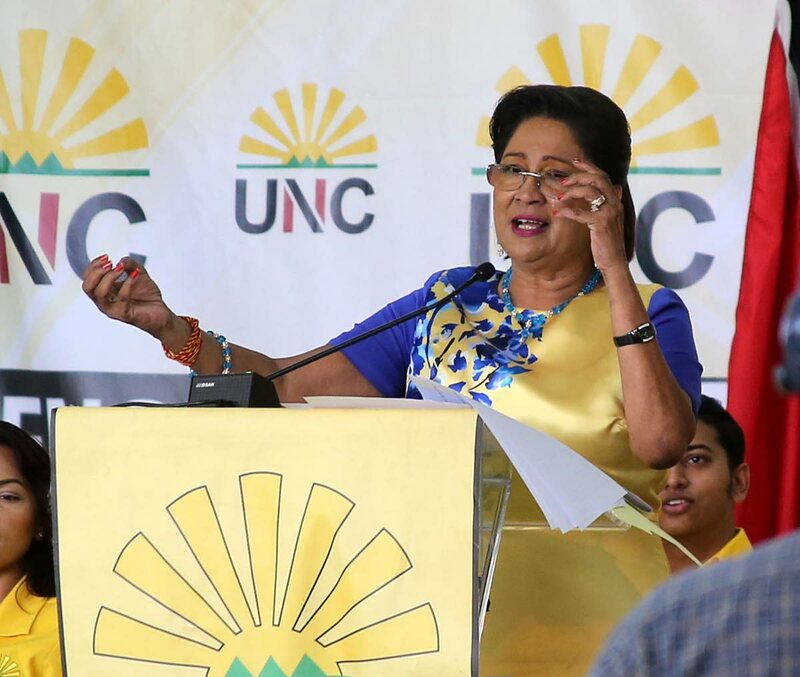 Speaking at the UNC’s Monday Night Forum, Persad-Bissessar said government has no clue on diversification, revenue generation or creation of sustainable jobs. “We need a ready work force for sustainable jobs to attract foreign direct investments. We were investing in our human resource. But to this Government...that is not important,” she said. Reply to "Kamla: Expect blame game"